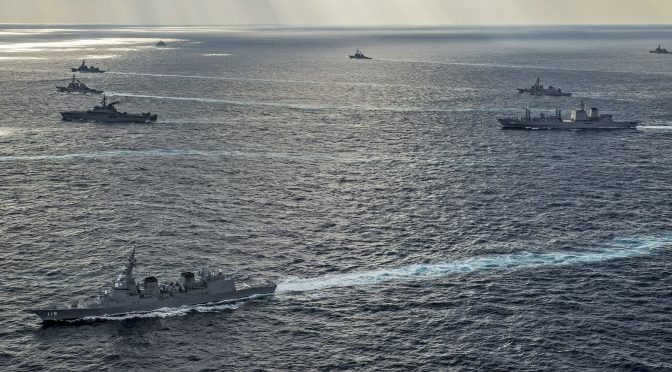 This week CIMSEC featured a series of articles submitted in response to the Distributed Lethality Task Force’s Call for Articles issued at the beginning of this month. The Task Force challenged authors to contribute creative thinking and solutions that can help refine the distributed lethality concept. Authors proposed various ideas such as specializing warships and commanders within a surface action group, mitigating logistical challenges through creative basing constructs, conceiving a long-term plan for unmanned-centric distributed operations, and other topics of relevance to distributed lethality. We thank our authors for their contributions and the Distributed Lethality Task Force for its partnership in executing this topic week.